This never-used clutch has a top side to side zipper and a black fabric lining. 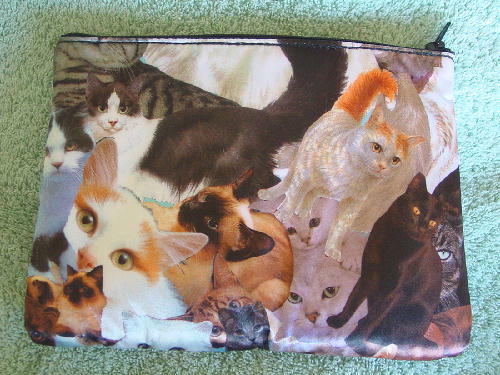 The somewhat padded shiny exterior (probably a polyester) has a design pattern of cats in black, brown, pink, golden-orange, bright orange, white, pearl, gray, green, and offwhite with a background in various shades of blue. 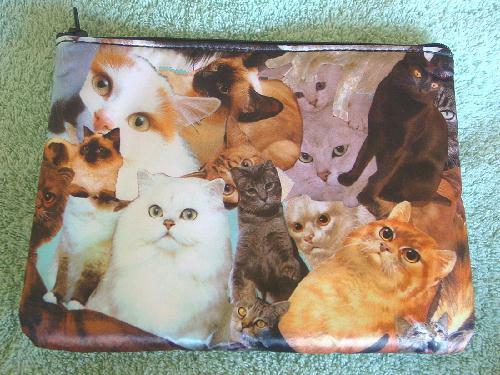 It can also be used as a makeup bag.